Alfred was born on 29 September 1891 in Teeton. He was the son of John Samuel Smith, an agricultural labourer from a long-established family in Spratton, and his wife, Sarah Ann (née Buckby) and brother of John W, Mabel, Florence and Sarah. By 1901 the family had moved to Spratton and in 1911 when Alfred was 19 he was living in the High Street with his widowed mother and siblings and working as a farm labourer. Both Alfred and his brother John served in the First World War. Sadly John was killed in action in 1914. 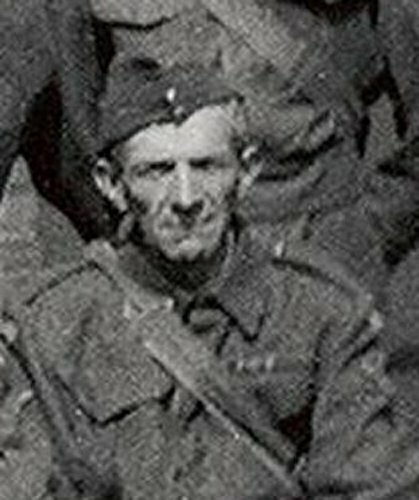 Alfred joined the Northamptonshire Regiment and served in France with the British Expeditionary Force. He was badly wounded but returned safely to Spratton and was still living there during the Second World War when he was part of the local Home Guard. He died in December 1973 aged 82.